Shame and guilt can cause a lot of problems. Some authors see these two feelings as interchangeable but others draw a distinction between the two feelings. Learning to know the differences can be important if you are a recovering person. One of these feelings can move you forward and the other can keep you stuck in a prison from the past. The dictionary definitions of shame and guilt are of course quite different. 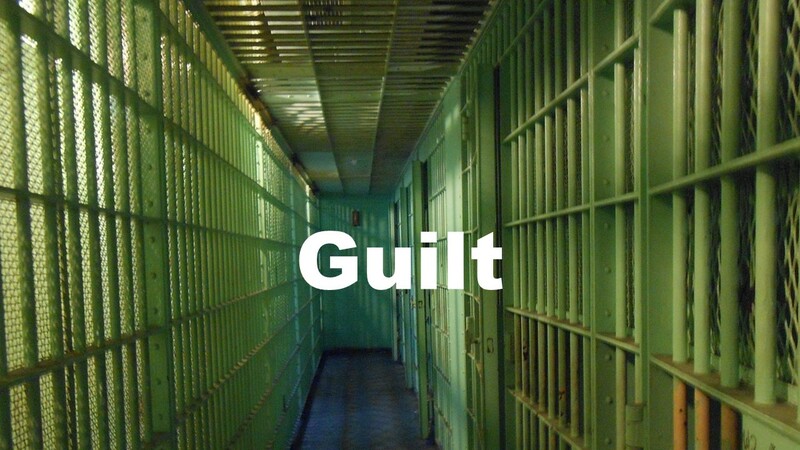 Guilt is defined as to be aware you had done wrong or to take the responsibility for doing wrong. This can be a healthy emotion. If you genuinely feel guilty the solution is clear, do not do it again. Guilt can be protective if it prevents you from doing or continuing to do something that is wrong. The emphasis here is on the action, not the person. The legal system uses this word in the sense that someone has done an act that is forbidden or has failed to do something that was required. The person is then guilty of a specific illegal act. Some people try to use guilt to manipulate others into doing things they want them to do. We hear the expression “guilt-trip” to describe this effort. As in “I can’t believe you wouldn’t want to spend Sunday with your parents.” The effort here is to get people to do what you want by trying to make them feel guilty if they don’t comply with your request. Shame is about the person, not the act. Shame, to my way of thinking, is a lot more destructive than guilt. It is also harder to get loose from. Some dictionary definitions of Shame include things like, shame is a negative emotion. It includes feelings of dishonor, unworthiness, and embarrassment. People who experience shame feel disgraced or dishonored. The focus of shame is on the person, not the act. Families may try to get compliance with their wishes by shaming a person, telling them that because they have not lived up to the shamer’s expectations, they are worthless or inherently defective. While many parents may use shame with their children occasional some families are “shame-based” and everyone tries to shame everyone else on a regular basis. With guilt, you have the opportunity to remedy the situation. You stop doing wrong or start doing right. With shame, there is no cure for being a “defective” person. There is always that nagging fear you are being judged and will not measure up. Being raised in a shame-based family can result in the child maturing into an adult who is helpless and hopeless. Being taught that who you are is shameful can leave permanent emotional scars. Believing that you are inherently shameful results in adults that hide their inner selves from significant others. They fear that if their partner ever finds out who they truly are they will be rejected or abandoned. It becomes necessary to avoid revealing yourself to others. They can be profoundly lonely in the midst of family and friends. People who see themselves as shameful are often shy, withdrawn and excessively introverted. Middleton-Moz in her book Shame and Guilt describes people who grew up in shame-based homes as avoiding intimacy and believing that they don’t make mistakes, they are mistakes. They, like Adult Children of Alcoholics, (see Woititz, 1990) believe they need to be better than others to be any good. Absolute perfection is the goal or nothing at all. The result is fluctuating between being super responsible and super irresponsible. Those who feel the heavy burden of shame are often defensive and unable to take criticism. They need to blame others in order to feel good about themselves. They may deny responsibility while apologizing profusely. They may be over responsible people taking on the responsibilities of others and becoming a parent to their parent. Paretified children are common in most forms of dysfunctional families. As adults children of dysfunction, they never fit in and feel like they do not belong no matter where they go. They are at high risk to become alcoholics, addicts or engage in some other compulsive behavior as ways to try to make themselves feel acceptable. If you have guilt over something you did in the past, clean up the wreckage where you can let it go and move on to do better. If you came from a shame-based background the sooner you toss that shame and move on the better. If you need help in getting past that burden of shame consider working with a counselor or other helping person. Letting go of shame is one step on the road to a happy life. This entry was posted in Emotions and Feelings and tagged Emotions and feelings, Guilt, recovery and resilience, Shame by David Joel Miller. Bookmark the permalink.